Tumbled crackled Quartz pieces, available in three sizes. These pieces have been dyed in a range of bright colours. Crackled Quartz tumblestones, available in three sizes. These pieces have been dyed in a range of bright colours. 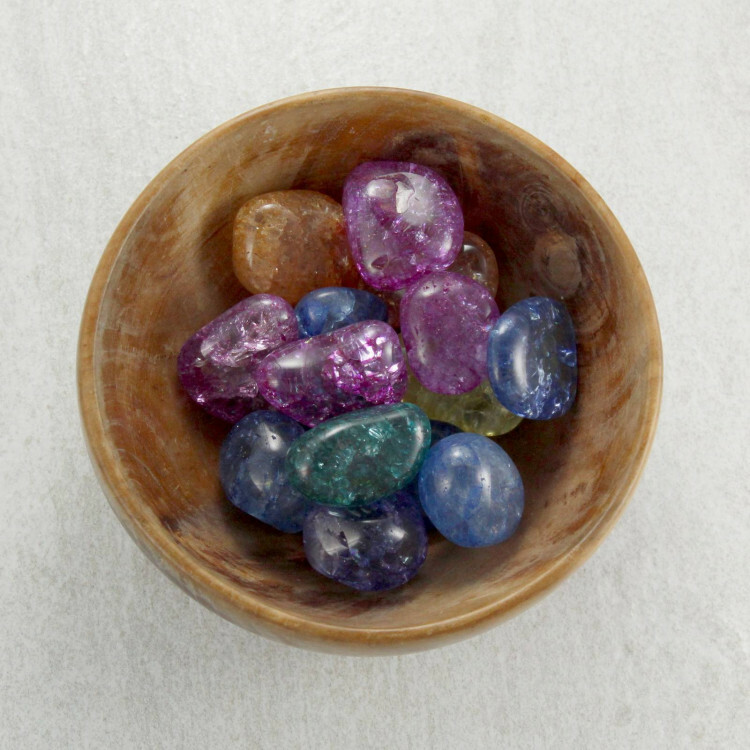 Because these stones are dyed, they are available in a wide mix of bright colours. They may contrast with a lot of different colours – unfortunately, they’re random selections of colours. 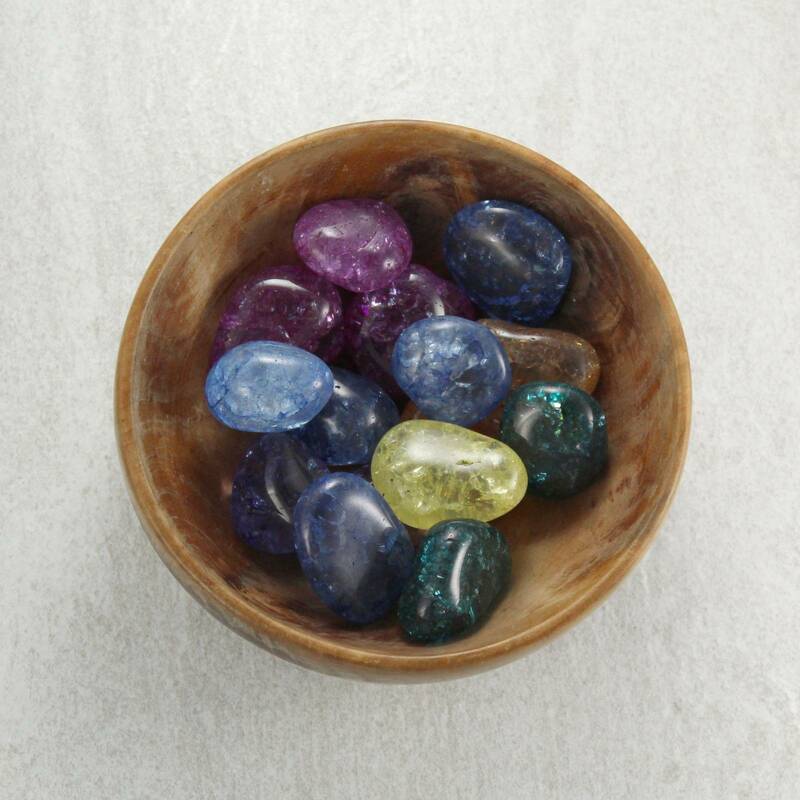 We cannot guarantee the colours you’ll receive, but if you order more than one stone you will get a mix. For more information about Crackle Quartz, and a full list of all of our related products, we suggest looking at our ‘Crackle Quartz’ page.